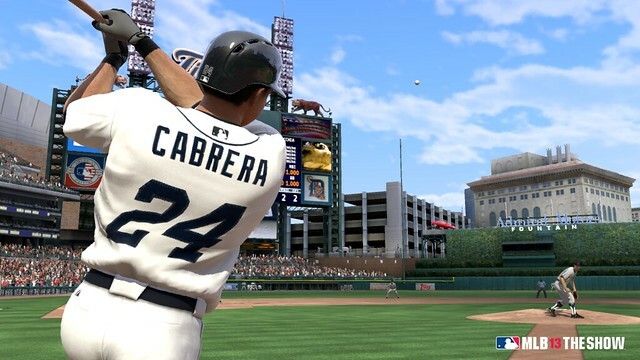 If you’re already missing the baseball season, we’ve got news to cheer you up: today we announced the North American release of MLB 13 The Show, the latest installment of the number-one selling and rated Major League Baseball video game franchise. Available for PlayStation 3 and PS Vita, MLB 13 The Show is due to arrive in stores on March 5, 2013, just in time for MLB Spring Training. 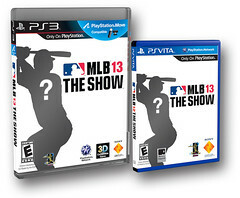 Which baseball superstar will be on the cover of MLB 13 The Show? For the first time ever, fans will select the cover athlete for this year’s title via a Cover Campaign in early January. Stay tuned — some of the top names in the sport will be announcing their candidacy in the upcoming weeks. Other new features include a completely new beginner mode and instructional enhancements that make The Show the best pick-up and play baseball experience available. In addition, the improved Play Now mode streamlines gameplay, for faster and simpler games. San Diego Studios has also revamped The Show’s Franchise and Road To The Show modes with expanded options and new gameplay experiences. Taking The Show on the road? The PS Vita version of The Show features the same list of upgrades and new features as the PS3 version. As with last year, you can sync your Season, Franchise and Road to the Show saves between platforms to continue the action anywhere. MLB The Show also offers the opportunity to play with friends around the world at no extra cost on PlayStation Network. These are just a few of the enhancements San Diego Studios have made to the 2013 version of The Show. All new features and game modes will be unveiled and detailed throughout the coming months. The Show has been and continues to be the highest-rated officially licensed baseball title of this console generation (according to Metacritic.com), delivering true-to-life gameplay, authentic franchise and season modes, and incredible detail not found in any other sports game. 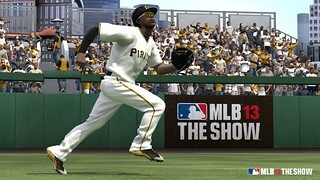 For more information about the MLB 13 The Show, visit www.theshownation.com and www.facebook.com/mlbtheshow. Any plans for a Return to NBA games in the future?? Will be entirely cross buy this time? That’s extremely great news, fans get to choose. I’m a Yankees aficionado, but must say I would pick Mike Trout for the cover! And (AGAIN) ask you should make a Expansion with Caribean championships or at Least Caribbean Series!.. World Classic, could be a GREAT adition that will promote the game on others countries… Think About it! Sony will continue to support MLB The Show on the Vita. There will be more information in the following weeks/months about Vita gameplay for The Show. #2 – you mean like 2k13? hah… bc 2k pretty much took over nba games… Although I heard EA was going to try to make an comeback with Live, FAIL. PLEASE COME SOONER. I just traded in my MLB 12 on PS3 cause I never had any time to play it. Play the heck out of my Vita version though. I would love if this was a Cross-Buy!! Or at least do the $20 off promotion again. Still a long ways off, though. Plenty of time to announce that stuff. The cover should go to Buster Posey or someone else from the Giants. Since they won the World Series. The player on the cover should be the REAL AL MVP, Mike Trout. National league MVP Buster Posey or World Series MVP Pablo Sandoval that he homered three times in a row at game one in AT&T park. I’m big fan of sf giants because I live in Northern California (San Francisco). In regards to choosing who will be on the cover, look for some of MLB’s best baseball players to announce their involvement in the cover campaign in the month of December. i like pittburgh pirates but i dont want to see my team player on the cover. I think that kid from the angels Trout should be on the cover. MIKE TROUT should be one of those players involved in the cover. On the other side of the league, maybe Buster Posey. Two strong candidates! One thing I really hope you implement in this game is Move online functionality! I love the controls with the move! Whether it’s the home run derby or playing a full game, just wish I could play that way vs my friends! Pleaseeee include this! There will be a riot here in So Cal if anyone other than Mike Trout gets the cover. OK, maybe we won’t riot over a game cover, and yes, Cabrera was definitely the best player in the league last year, but anyone who knows anything about baseball knows that Mike Trout is going to be the best player in MLB for at least the next decade. Plus he’s young, so the kids can relate to him. Put Trout on the cover – it’s the right (and smart) thing to do. or better yet why not finally put a pticher on the cover. Buster Posey or Mike Trout should be on the cover of MLB 13 The Show. Those are my 2 of favorite players in MLB. @loceycon I love the idea of sharing with other Triple Crown Winners….or have that as a downloadable cover later…. ? I also heard the suggestion of Chipper Jones…..maybe another downloadable cover? He deserves it. 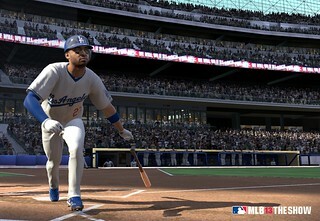 PS I don’t see any new excitements features like MLB12 in this post. I hope they keep the PS Move integration also keep improving the graphics. Cause is the ‘NEW BIG THING’ is that the fans can vote for the cover. I stay with MLB12 TS. and my second pick… Giancarlo Stanton. If you want to start a cool tradition, make the list of candidates we vote on be a list of players from the team that won the world series that previous year… The list could be based on their awards/records from that season. So in example, this year it would be the San Francisco Giants. Buster Posey — 2012 National League MVP. Pablo Sandoval — 2012 World Series MVP. Marco Scutaro — 2012 NLCS MVP. Matt Cain — Pitched first “Perfect Game” in Giants History in 2012. Angel Pagan — Broke Willie Mays (SF Era) Single-Season tripples record in 2012. For features I wanted to add that including the WBC would be awesome. I’ve looked for a while to see who might have the license to make such a game… no dice on that… also make the interface a bit more noob-friendly… seriously, it was so realistic, all three times I made contact in a game were weak groudballs. lol. He won the Tripple Crown, yes.. but his team lost in the World Series. Swept, in fact. That is the only reason I’m suggesting that someone from the GIANTS should be on the cover. How about Mike Trout or David Price? Somebody from the Indians should be on the cover. Is this a joke!? are you people kidding me!? Vote for the 2013 The Show cover!? THERE IS NO CONTEST HERE PEOPLE! MVPs come a dime-a-dozen every year as golden gloves, Cy Young and Rookie of the Year. Miguel Cabrera not only is the MVP of the American League, but the freakin’ TRIPLE CROWN WINNER! a very rare achievement that comes once in a generation, a list shorter than perfect game winners. If Miguel Cabrera is not in the cover it would be an insult, more than injustice. I’m a die hard-core New York Yankee fan and my vote goes for Miguel Cabrera who is ALSO the AL MVP and the AL Silver Slugger of 2012. No contest here. Oh, AND MAKE MLB 13 THE SHOW A CROSS BUY TITLE!!! Can anyone confirm how different the PS3 and PS Vita versions will be? I ask because of this overly done trend with developers and their sports games, they usually barely make the Vita one any different and the Vita version is always just a re skinned old version with a new rosters. Like Fifa 13 for instance… I am just tired of the lack of care going into these sports games on the Vita. I would really like to know if MLB 13 will be any different. I heard MLB was the one of better out of all of the franchises. I am interested in getting this but not if it’s just going to be MLB 12 with new menus and rosters. 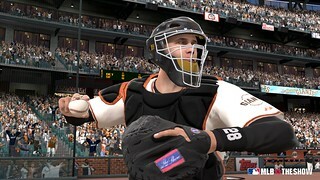 There will be many upcoming announcements about new as well as improved features that will be appearing on MLB 13 for PS3 and the Vita. With that logic then it’s fair to say that Pablo Sandoval should be the MLB 13 The Show cover, after all he help his team make the world series (win 4 games), and his WS MVP more than proves it. Still, nothing compared to the Triple Crown IMO. A whole year effort. Mike Trout or David Price? Please! it’s like putting another undeserved Boston Red Party –again!– on the cover or Joe Mauer for the third time. Like I said, Cy Young, Rookie of the Year and MVPs are common every year achievements, someone will always get it whether the numbers impress or not. the Triple Crown? look back and do the math. You can be a Cy Young by accident, it warrants a voting scheme… also the MVP, both are critically subjective decisions by a collective group of baseball journalists, most of the time the numbers don’t merit the award but they HAVE to give it to somebody nonetheless. But the triple Crown is a no brainer, no voting and no evaluating decision needed. You either meet the criteria of topping the three very competed categories in batting or not. Like a Home Run record, you break it, you get it. The textures on the stadiums are SOOO bad, How about you update those first then worry about new game modes no one will play. Btw I’d like to see a legend on the cover. like Ken Griffey Jr. & make the color holographic like EA. 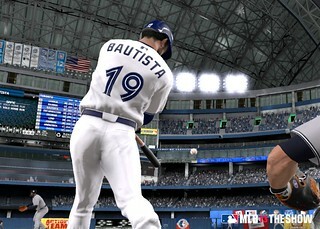 MLB 13 has been completely re-polished from RTTS to Franchise Mode to improving the graphics.